Kentucky Nail Salon Insurance. As the owner of a nail salon, you love what you do. You stay on top of the latest trends in nail care and offer a variety of polish colors and cutting-edge techniques. You may also offer services that extend beyond nails, such as waxing and massages. But, your job isn't only to make sure that you customers look and feel their best; it's also your job to make sure that they receive the very best care. There are certain risks that are associated with running a nail salon. You work with harsh chemicals and different types of equipment and machinery. On top of that, you are likely open for extended periods of time in order to meet the needs of your clients. With the right Kentucky nail salon insurance coverage, you can protect yourself from the risks that are associated with owning a nail salon, from slips and falls to lawsuits - and a whole lot more. Kentucky nail salon insurance protects your shop from legal liability with rates as low as $37/mo. Get a fast quote and protect your business now. Workers Compensation: If you employ a staff, you should also consider carrying workers comp. 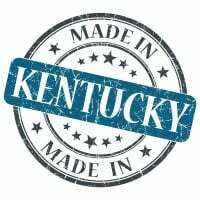 Should a nail technician sustain a work-related injury or illness, KY workers compensation will cover the cost of medical care & lost wages. To find out exactly what type of Kentucky nail salon insurance policies you should carry, how much coverage you should have for each policy, and how much your insurance will cost, speak to a reputable business insurance broker that has experience covering nail salons. With the right insurance, you can protect yourself and your clients, and keep your KY nail salon in good standing. Request a free Kentucky Nail Salon Insurance insurance quote in Alexandria, Ashland, Barbourville, Bardstown, Beaver Dam, Bellevue, Benton, Berea, Bowling Green, Brandenburg, Cadiz, Calvert, Campbellsville, Carrollton, Central, Cold Spring, Columbia, Corbin, Covington, Crescent Springs, Crestview Hills, Crestwood, Crittenden, Cynthiana, Danville, Dawson Springs, Dayton, Douglass Hills, Eddyville, Edgewood, Elizabethtown, Elsmere, Eminence, Erlanger, Flatwoods, Flemingsburg, Florence, Fort Mitchell, Fort Thomas, Fort Wright, Frankfort, Franklin, Georgetown, Glasgow, Graymoor-Devondale, Grayson, Greenville, Harrodsburg, Hartford, Hazard, Henderson, Highland Heights, Hillview, Hodgenville, Hopkinsville, Hurstbourne, Independence, Indian Hills, Irvine, Jeffersontown, La Grange, Lakeside Park, Lancaster, Lawrenceburg, Lebanon, Leitchfield, Lexington-Fayette, London, Louisville, Ludlow, Lyndon, Madisonville, Marion, Mayfield, Maysville, Middlesborough, Middletown, Monticello, Morehead, Morganfield, Mount Sterling, Mount Washington, Murray, Newport, Nicholasville, Oak Grove, Owensboro, Paducah, Paintsville, Paris, Park Hills, Pikeville, Prestonsburg, Princeton, Prospect, Providence, Radcliff, Richmond, Russell, Russellville, Scottsville, Shelbyville, Shepherdsville, Shively, Simpsonville, Somerset, Southgate, Springfield, St. Matthews, Stanford, Stanton, Taylor Mill, Union, Versailles, Villa Hills, Vine Grove, Walton, West Liberty, Wilder, Williamsburg, Williamstown, Wilmore, Winchester and all other cities in KY - The Bluegrass State.